Students enrolled on the Macroeconomics 2 module at the University of Manchester were informed by the University that the exam had been moved forward nearly three weeks, due to a data omission. The exam, originally due to take place on 31st May, has been brought forward by a fortnight to 13th May, leaving students with less time to prepare. Email and text alerts were sent out to students to notify them of changes, however, there have been complaints over the exam not displaying on the MyManchester website. The unit is a compulsory element of the economics course at the University and its rescheduling has resulted in widespread dissatisfaction amongst the affected student body. Speaking to The Mancunion, second-year Politics, Philosophy, and Economics (PPE) student Mia Edwards commented on the issue: “I’m not actually sure how many students [have been affected], but they have one it to multiple modules so it will be hundreds… there are hundreds in my module alone. Mia also revealed that she knew of students who were not going to be in the country for the new exam date, as many believed that exams could not be rescheduled to a date outside of the official period. One first-year student taking the exam, who chose to remain anonymous, said: “Whilst inconvenient, it’s not quite a big deal for first years. “However, for second years their marks count and it’s really not fair that they not have an exam outside the exam window in a week they have essays. Not to mention how we also now get two less weeks to revise and the fact the exam’s not showing up on our timetables. The University has now apologised to students and told The Mancunion that the School of Social Sciences is now working to find an ‘alternative solution’. A University of Manchester spokesperson said: “First and foremost the University would like to apologise to students for any confusion or anxiety this may have caused as we approach exam season. “The School of Social Sciences is now working with the Exams Office to find an alternative solution that will better suit everyone involved, whilst still ensuring the exam can be administrated and delivered fully and fairly in accordance with the University’s exam guidelines. Our priority is to ensure that all students are examined fairly and equitably. Update: The University of Manchester will now allow economics students to choose one of two dates to sit the Macroeconomics 2 exam. 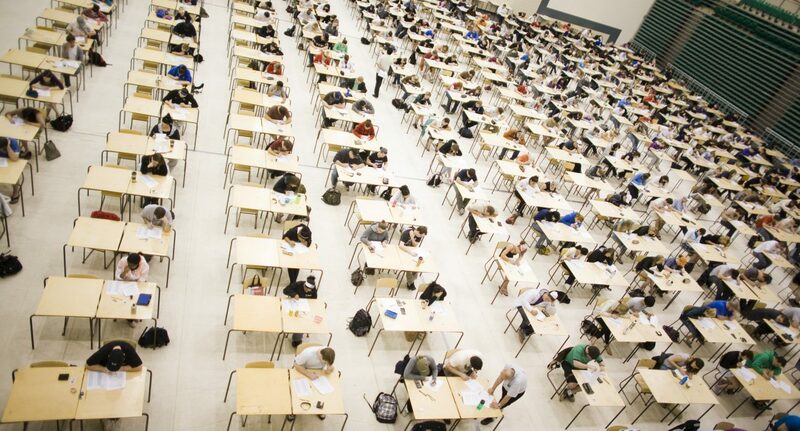 Students can now either take the exam on the 13th or 28th of May.